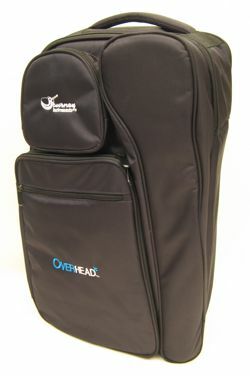 These high quality guitars break down to fit into a special TSA-approved backpack - a high quality 1680 denier nylon case with 3/4 inch foam padding. 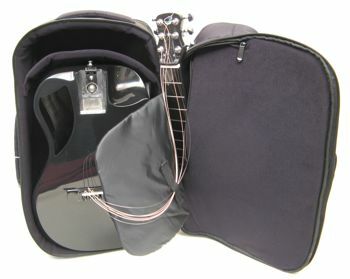 There's also room for sheet music, tuners, and other small accessories. 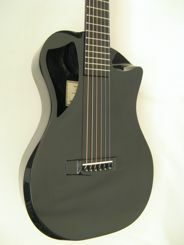 Journey travel guitars include passive under-bridge piezo pickups, great sounding and reliable. 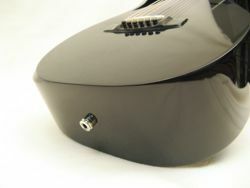 The bodies are a unique wedge shape which allows for a larger and fuller sound in a small body size without sacrificing comfort and playablility. We recommend the carbon fiber models, which will stand up to the stress of travel better than wood construction and are unaffected by moisture and humidity. And although they are small, these guitars feature a full 24-1/2 inch fretboard with 20 frets and reliable Grover 18:1 premium mini tuners. 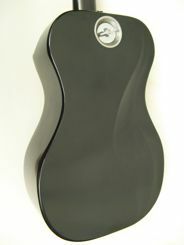 If you travel frequently and wish you could take your guitar along, you should consider these Journey travel guitars! Be sure to check out our Youtube video if you want even more information! 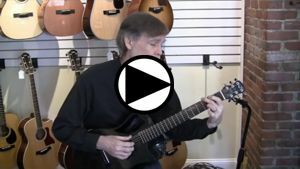 As of July 16th, 2018 we have the following Journey instruments in stock. 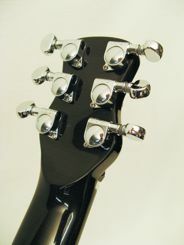 Click on a model or just scroll down to see descriptions and photos of each instrument. 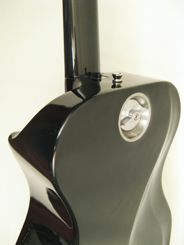 This is the classic Journey gloss black carbon fiber model. 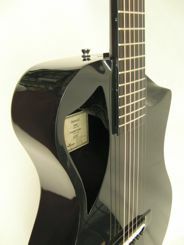 With its offset sound hole and iconic Journey "scoopaway" to access the higher frets, this guitar sets the standard for travel guitars. 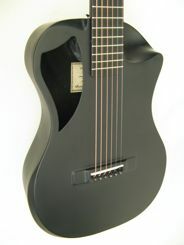 The OF660 is also availible in a matte black model, the OF660M. 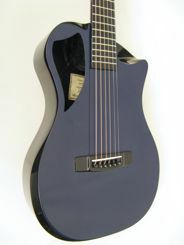 This instrument is similar to the OF660 except in a unique midnight gloss blue. 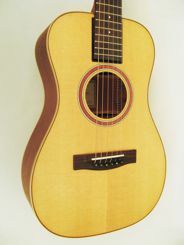 The OF431 is similar to the Journey guitars above except instead of carbon fiber this one is made with a solid sitka spruce top and solid mahogany back and sides. The OF431 comes apart just like the models above. The wood construction gives it a more 'acoustic' look and feel, but it requires more protection from temperature and humidity extremes. 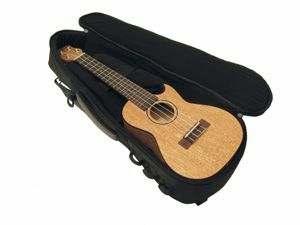 Most models under $200, these high quality ukeleles come with a Meranti solid top and an Ovangkol bridge and fretboard. 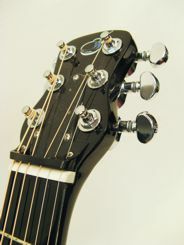 Most models have a "scoop away" on the underside to allow for easy acess to the higher frets. 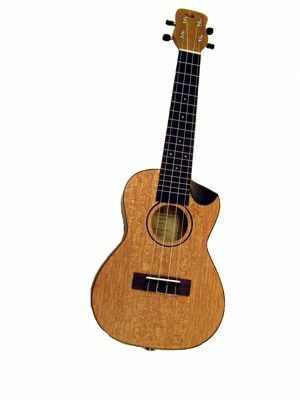 Some models have passive pickups which allows for play where an amp is needed The What makes these ukeleles stand out is that they all come standard with a very high quality hard bag that is ready for all the environments and serves as a great travel bag.